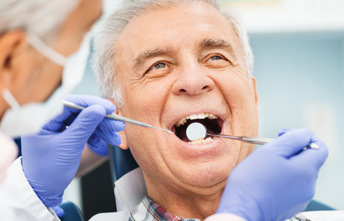 A filling is a way to restore a tooth damaged by decay back to its normal function and shape. Materials used for fillings include gold, porcelain, a composite resin (tooth-colored fillings). By closing off spaces where bacteria can enter, a filling also helps prevent further decay. If decay or a fracture has damaged a large portion of the tooth, a crown, or cap, may be recommended.